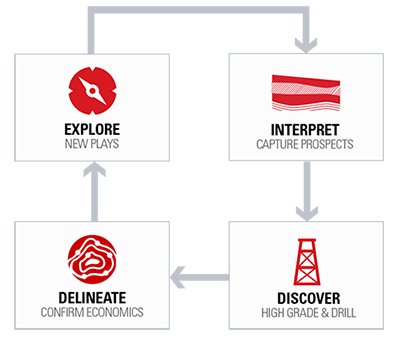 While every E&P company views the Exploration and Appraisal lifecycle differently, it consistently involves the transition from an initial idea to a well understood view of a new field discovery. The faster teams can bring their prospect portfolio into focus, the more likely they can capture the most prospective acreage, drill the right prospect, and develop the best field. Then it starts all over again. By viewing this maturation from geologic concept to producing field as a continuous cycle, explorers can learn and improve to decrease evaluation time and increase repeatable success. U.S. independent adopts DecisionSpace® Geosciences, improving drilling targets for deepwater wells. The current competitive industry environment demands inventive exploration strategies. Understanding regional geology is not only essential for high-grading areas for further study, but it also encourages the development of new play concepts, which could form the big discoveries of the future. The lifecycle begins with the exploration team gathering the information necessary to begin screening areas for high potential. Neftex® supplies the content needed for global/regional exploration for early phase basin screening, play fairway analysis and petroleum systems modeling. Permedia™ provides the petroleum systems analysis integrated with core interpretation as a step for risk reduction in early phase exploration. The technical knowledge gained from these steps in conjunction with economic terms will aim the team to areas of highest potential for evaluation at the next level of detail. The basin screening processes provides a spotlight on where to explore for leads. This next stage is a cycle within the greater lifecycle where geoscientists generate as many leads as possible, test them for viability, and capture acreage or move on as rapidly as possible. As this cycle is repeated over and over, a significant amount of data and interpretation understanding is being accumulated which becomes an asset for speeding up the cycle. Once acreage is secured safely from competitors, time can now be taken to really put the prospect into focus with a rigorous technical evaluation. All the key risk factors that could lead to a dry hole or an uneconomic discovery are examined. 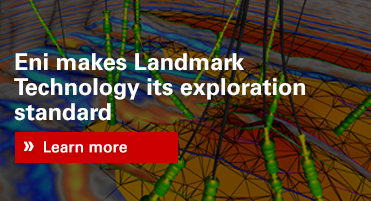 Most prospects must have 3D seismic to be drilled and the prospects with the best risk weighted economics are selected for exploratory drilling. Seismic imaging, structural modeling, and lithology and fluid prediction are critical steps to prepare a prospect for drilling. Drilling and operations geology become critical parts in this phase to successfully reach the target and make the discovery. The exploration team is responsible to prove that a new field discovery is economically viable before passing it on to development for a sanction decision. More wells are drilled and an initial reservoir simulation is performed to justify recoverable reserves and production rates for an initial field development plan. Multi-well petrophysics and earth modeling are critical to building an accurate simulation model. Production engineers become critical members of the team to determine field development options. If the economics are strong enough, the new field discovery is passed on to development and the exploration team starts the lifecycle over with more data and greater understanding of the area.